According to Food and Drug Administration regulations, abortion pill Mifeprex can only be dispensed at a medical facility under the care of a certified provider. The ACLU and many abortion rights advocates want it to be available at pharmacies. Chelius is a plaintiff in a new lawsuit by the American Civil Liberties Union that's seeking to expand access to medication abortions, which can be used during the first 10 weeks of a pregnancy. 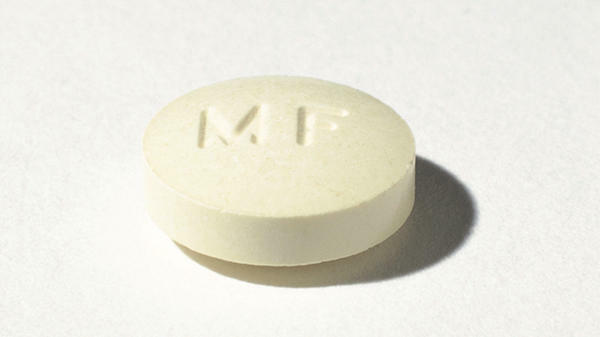 The suit, filed Tuesday in federal court in Hawaii, challenges a longstanding U.S. Food and Drug Administration regulation allowing the abortion pill, Mifeprex, to be dispensed only at a medical facility under the care of a certified provider. Among other requirements, those providers must pre-register with the drug manufacturer, keep the medication in stock, and be capable of providing a surgical abortion if complications arise. Chelius argues those rules are unnecessary and cumbersome. Hawaii has one of the nation's highest poverty rates, and the delays and expenses are sometimes insurmountable barriers, Chelius said. The casecould have implications beyond Hawaii. "The FDA restrictions create delays that often push medication abortion out of reach of my patients," he said. "And some of my patients are simply unable to make this trip and instead have been forced to carry a pregnancy to term against their will." The FDA first approved an abortion pill in 2000. Since then, medication abortions have become increasingly common, accounting for about one third of abortions in the United States. Under the current regulatory system, the pills are dispensed at a qualified medical facility, and a woman takes the medication at home. The drug eventually causes cramping and bleeding, terminating the pregnancy. Julia Kaye, a staff attorney with ACLU's Reproductive Freedom Project, argues that it's time for the FDA to allow women to fill those prescriptions at pharmacies – a move that could substantially expand access to medication abortions. She notes that the abortion pill is considered safe by most medical professionals, and many women prefer it. "It feels more natural to them, like a miscarriage. It allows them to pass the pregnancy in the privacy and comfort of their homes surrounded by their loved ones," Kaye said. "It allows a woman to end her pregnancy on her own terms." Anti-abortion groups have long opposed the abortion pill, along with other methods of ending pregnancy. Dr. Donna Harrison, executive director of the American Association of Pro-life Obstetricians and Gynecologists, objects to medication abortions in part because they happen without the direct supervision of a doctor. "Is the pharmacist going to answer her call at 5 in the morning when she's suffering or needs some help? The pharmacist is not going to be there," Harrison said. That's a minority position among OB-GYNs. The American Congress of Obstetricians and Gynecologists (ACOG) has described medication abortion as a "safe, effective option," and has called on the FDA to revise its standards. In a statement last year, ACOG's past president, Dr. Mark S. DeFrancesco, said that while fatal infections have been reported in rare cases, "it is important to note that no specific connection exists between medication abortion and these infections, which can also occur with other obstetric and gynecologic processes and procedures." The statement noted that medication abortions carry a lower risk of death than childbirth.